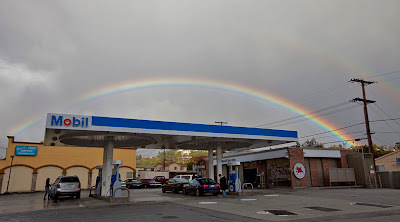 A rare sight anywhere, a double rainbow forming over the City of Glendale. 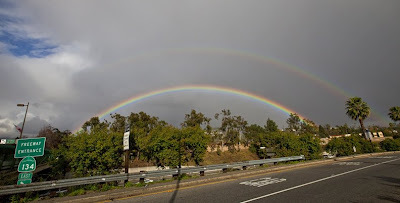 Saw the rainbow(s) form this afternoon driving home on the 134 @ Glendale Ave. The rainbows lasted about half an hour.